Lack of access energy to modern, reliable and clean energy does not influence all demographics equally. Men and women play different roles in energy production, distribution of products and use of energy in households. For example, women disproportionally bear the burden of energy poverty as they often spend hours each day collecting firewood and water, while their role as household energy managers and in informal networks in emerging countries put women in a prime position to connect with their peers, increase awareness and deliver energy products and services. Bearing in mind, that women entrepreneurs’ play a pivotal role in scaling up energy access, ARE is pleased to dedicate the 1st edition of this years’ ARE Newsletter to highlight the excellent work of many women practitioners on the ground. As a next step, ARE plans to develop a publication with wPowerHub on key recommendations and innovative business models to raise awareness for business models in this field, which can help inspire additional women-led projects to the benefit of rural populations. If you are interested to support this work with financial means or in getting involved by sharing your knowledge, kindly contact my colleague, Jens Jaeger, Policy & Business Development Officer. While many promising women-led initiatives are seeing the light of day, it is necessary to promote investments in these innovation projects and to accelerate investment-friendly market conditions. This is the time where you can influence the future! ARE would like to invite all energy access stakeholders to join the 4th ARE Energy Access Investment Forum in Catania (13-15 March) which takes place one day after the ARE Annual General Meeting (AGM). The ARE Forum in 2018, organised in collaboration with RES4Africa and RECP, includes a high-level conference and the ARE Awards 2018 in the evening on Day 1 followed by the RECP Business Matchmaking sessions and three different site visits to the diamond sponsor’s Enel Green Power’s 3SUN Factory and Passo Martino Innovation Hub as well to Winch Energy’s Remote Power Unit. For side activities like the ARE Project Finance Roundtable and the European Commission’s Energy Digital Nexus Workshop, kindly visit the ARE website. In the run-up to the ARE Forum, ARE is also very happy to announce that the Energy Access Workstream (EA WS) of the Africa-EU Partnership (AEEP) has launched its newest publication on “Best Practices & Key Recommendations from Young Leaders in Energy Access”, showcasing the impressive efforts of young entrepreneurs in the decentralised renewable energy sector in Africa. ARE is happy to continue to promote the efforts of young pioneers in the sector and has created a job platform to help young people move into the sector (interested readers can subscribe free of costs to the job alert here). Lastly, we would like to thank the European Commission for their continued commitment to ensure women’s economic and social empowered through the Gender Action Plan II (GAP 2016-20) and for their guest editorial in this version of the ARE Newsletter. To find out how ARE can help you to achieve your business goals, please contact me directly. Since December we are pleased to welcome nine new companies: Ecocinetic, Energo Labs, Fortune Engineering, Hotspot Network Limited, HT Energy, KfW DEG, Odyssey, Ossi Yeto and Pit Pure Power. We look forward to working with you! Energy poverty affects approximately 1.2 billion people worldwide; of those, women disproportionately suffer the effects of energy poverty due to their perceived role as caretakers of the family. In developing countries, together with their children, women are the first victims of gas and particles' exposure because of inefficient cookstoves. Being responsible for wood collection and housekeeping tasks, women are also less available to engage in educational and income generating activities. Tackling the barriers that women faces in developing countries when it comes to engaging in the sustainable energy sector is how the European Union improves women’s health, well-being of their families and ensure their economic empowerment. This we see in many of the projects implemented in partner countries on sustainable energy. One example from Tanzania tells the story of Mama Shigella. 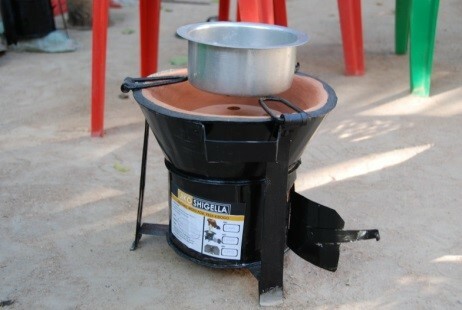 In 1997, Mama Shigella produced her first cooking stove which consumed less wood fuel. 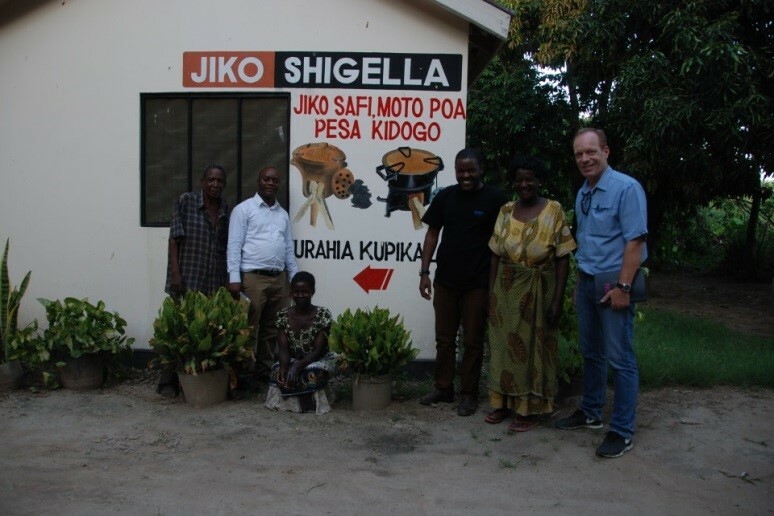 After receiving training through the EU funded project: “Developing Energy Enterprises Project” East Africa (DEEP), Mama Shigella made improvements to the cooking stove and developed a business plan to scale up the production. Today, Mama Shigella produces up to seven improved cooking stoves per day and sells on average more than 60 pieces per month. Her business development stimulated the market and enabled her to invest in her children's proper education and to improve her family's well-being. The European Union’s commitment to women’s economic and social empowerment is reaffirmed in the Gender Action Plan II (GAP 2016-20) and accordingly, the European Union continues to work on engendering projects and mainstreaming gender in all actions. 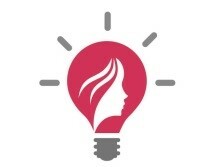 Lately, under the "Women and Sustainable energy initiative" the European Union concluded a support of EUR 18 million to three projects, for a period of five years, that foster women's entrepreneurship in the sustainable energy sector, increase their technical and business skills in the field and improve the general environment for women through political advocacy and awareness raising. Led by Barefoot Power, Christian Aid and Fundacion Plan International in Kenya, Sierra Leone, Uganda, Burkina Faso, Ethiopia, Malawi, Honduras, Mali, Niger, Senegal and Togo, these projects will also contribute in achieving SDG5 and SDG 7 by addressing gender inequalities and by promoting and stimulating the market for sustainable energy uses and products. Since energy and gender equality are key drivers for sustainable and inclusive growth, as well as private sector development, reinforcing the role of women in the energy sector is the right way forward for a lasting social, economic and environmental impact.